Robert Duane Anderson was born September 8, 1931 to Harry and Gladys (Holmes) Anderson in Beaver Crossing, Nebraska. He passed away March 31, 2019 at his home in Tekamah, Nebraska. Robert served in the Navy during the Korean War, from 1951 through 1955, serving aboard LST 529. On December 28, 1952, Robert was married to Doris Hovendick at Alder Grove United Methodist Church in Craig, Nebraska. Robert attended the University of Nebraska at Lincoln, where he received a master’s degree in Mathematics Education. After teaching school in Delano, California for many years, Robert and family moved back to the Herman, Nebraska area to take over the family farm. He continued to teach school and farm, until his retirement. He was an active member and board member of the Alder Grove United Methodist Church, the Jackson-Peck American Legion Post and VFW. He was preceded in death by his parents; brothers: Gene, David, Daryl and John. 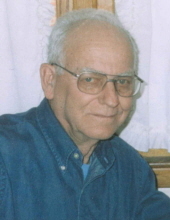 He is survived by his wife, Doris; sons: Ken (Kim) Anderson, Jim (Norma) Anderson and Charles Anderson and his significant other, Heidi; daughter, Sandy (Gary) Kuhl; siblings: Dan Anderson, Ron Anderson, Art Anderson, Richard Anderson, Harry Anderson and Carolyn; 9 grandchildren; 4 great grandchildren. "Email Address" would like to share the life celebration of Robert D. Anderson. Click on the "link" to go to share a favorite memory or leave a condolence message for the family.